This project is jointly funded by the Australian Government and Northern Territory Government as part of the Black Spot Program. The upgrade will enhance safety at the Chung Wah Terrace – Emery Avenue intersection and facilitate safer vehicle movements. The upgrades include a new dedicated left turning lane, installation of street lights to improve visibility and new pedestrian path connections. Construction will be undertaken between 9:00am to 3:30pm Monday to Friday and 7:00am to 5:00pm on Saturdays. During construction, there will be some disruption to traffic with lane closures and temporary speed restrictions. Please adhere to any traffic management in place. 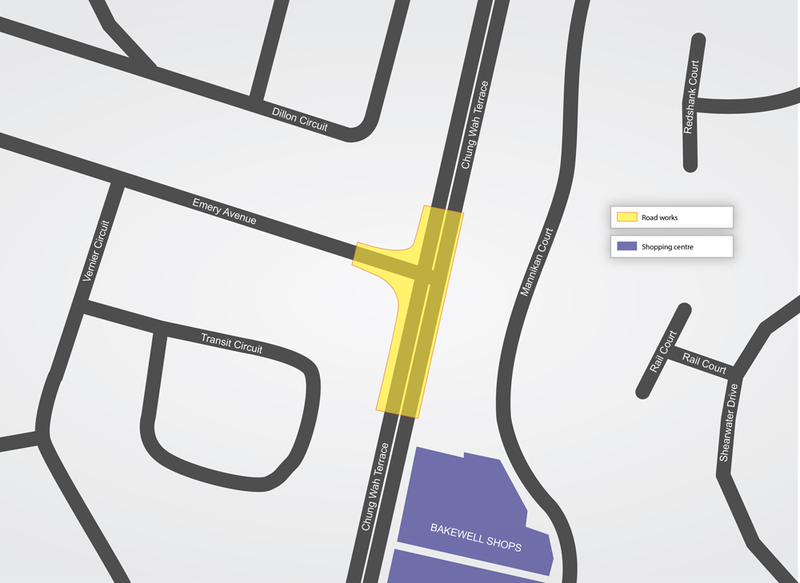 Access to and from Emery Avenue will be maintained during works. Asphalting works will be completed at night time, over a couple of days towards the end of the project. For further information, contact the Department of Infrastructure, Planning and Logistics Manager, Projects Sumesh Dhir on 08 8999 4864 or email sumesh.dhir@nt.gov.au.